Tempe, AZ and Hollywood, CA – May 19, 2017 –The Jim Henson Company has partnered with McFarlane Toys, which will harken back to its roots of “Movie Maniacs” to create figures of classic characters from two of Henson’s most well-known features Labyrinth and The Dark Crystal. Directed by visionary Jim Henson and executive produced by George Lucas, Labyrinth is a fanboy favorite and wonder of puppetry. Stuck babysitting her brother, teenager Sarah, resentfully wishes The Goblin King (memorably portrayed by David Bowie) can take him away. When her wish comes true, Sarah must head into the Labyrinth herself to save him. Since its 1986 release the film has garnered a cult popularity and is still reveled in today’s era as a timeless classic. The Dark Crystal, directed by Jim Henson and Frank Oz, brilliantly weaves a timeless myth of good and evil. In another time, The Dark Crystal, a source of balance and truth in the universe, was broken, dividing the world into two factions; the wicked Skeksis and the peaceful Mystics. Now, as the convergence of the three suns approaches, the crystal must be healed, or darkness will reign forever. The Dark Crystal’s fanbase has only risen since the film’s debut and has also developed a cult following of fans across the world. McFarlane Toys has produced highly detailed figures and construction sets for various entertainment properties and this collaboration with The Jim Henson Company will give fans of these iconic films new and unique action figures that are “true to life” replicas of their on-screen personas. The upcoming toys will include a 7-inch figure of Labyrinth’s Jareth The Goblin King, and for The Dark Crystal, fans can look forward to figures of Jen and Kira. Each figure will be highly detailed and come fully articulated to recreate infamous movie scenes. These figures will also debut in new window box collector packaging and will come with Labyrinth and The Dark Crystal branded detailed bases. McFarlane Toys’ Labyrinth Jareth The Goblin King figure will be available at major retailers this November carrying an MSRP: $19.99 (and now available for pre-order, HERE). 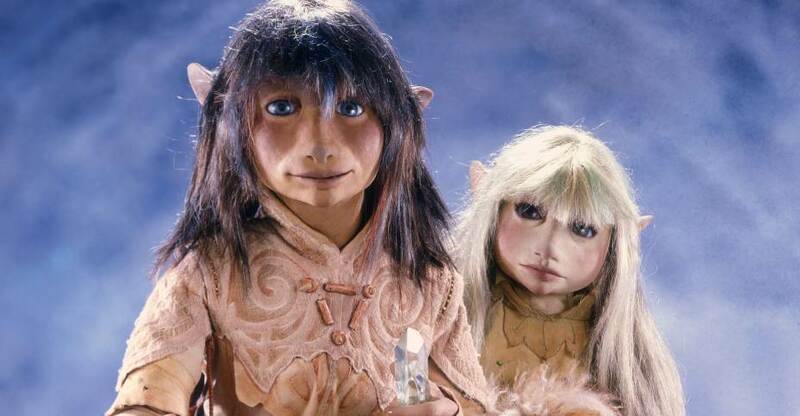 The Dark Crystal Jen and Kira figures are slated to release Spring 2018. For more information about The Jim Henson Company visit www.henson.com. For more information about everything McFarlane Toys, fans are encouraged to check out www.mcfarlane.com as well as the McFarlane social media channels for updates and news. Be great if they did Sarah, Hoggle and a few more from Labyrinth... Would buy each and every one of them! While the Jareth figure they show looks pretty much what I would expect a McToys figure to look like, the Dark Crystal figs look pretty dope. Any info on scale and articulation? I'm pretty sure they said the Color Tops line would be "fully articulated" too. They claimed each figure would sport around 15 points of articulation but so far the majority of those 15 points have been useless "hey we said 15" joints. They could have listened to the complaints regarding useless articulation but until then I'm assuming more staction figures are incoming. Honestly I'm okay with that but it is lame that they keep promoting their figures as highly articulated when you can't actually work with them. I was excited and then I saw McFarlane...anddd it's gone. Yeah, McFarlane. I'm not excited by that. It says the Labyrinth ones are, it's not clear from the text what's up with the Dark Crystal figs. Is that an actual pic of the figures?? From the article itself "The upcoming toys will include a 7-inch figure of Labyrinth�s Jareth The Goblin King, and for The Dark Crystal, fans can look forward to figures of Jen and Kira. Each figure will be highly detailed and come fully articulated to recreate infamous movie scenes. 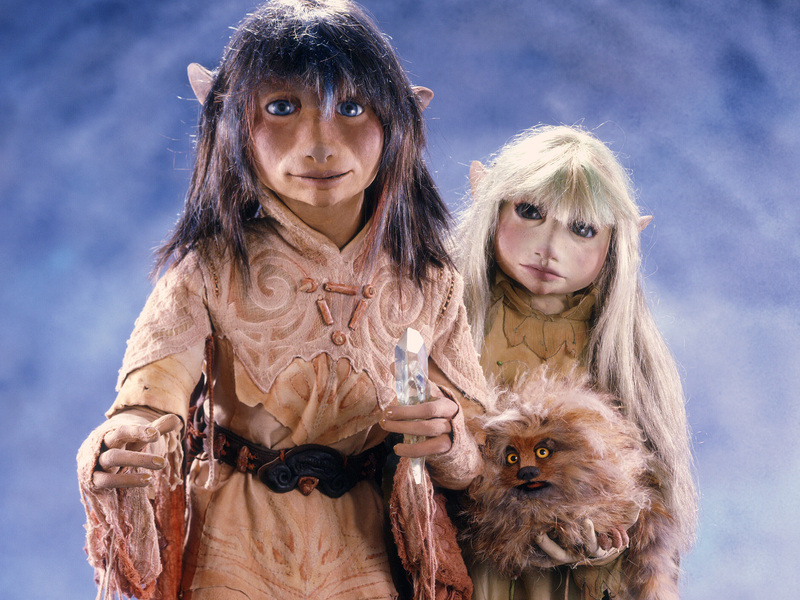 These figures will also debut in new window box collector packaging and will come with Labyrinth and The Dark Crystal branded detailed bases." That can be read as two separate things--7" Goblin King and Dark Crystal figures of unspecified size and quality.